At SEB Equine LLC we are proud to give you what we believe is the best equine performance nutrition available. As competitors we understand the need for quality results oriented equine nutrition having dealt with many incomplete supplements for performance horses. Our expertise is in Equine Nutrition, backed by a long history and genius in herbal nutrition and formulation. 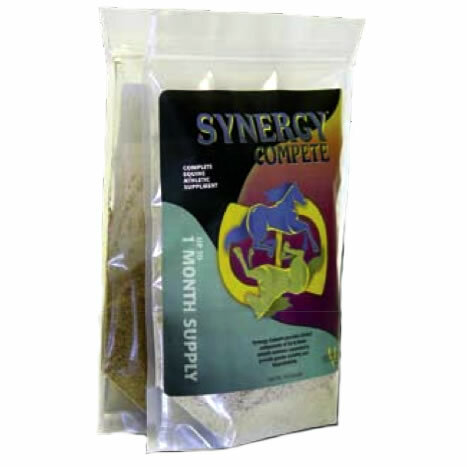 We know from experience the quality and quantity of nutrients needed for the best results. It's been 10 years of marketing, education, research, and competing to create what we believe is the perfect performance supplement for our horses and yours. We are very proud of the quality and results offered by Synergy Compete! Synergy Compete definitely helps my reining horses appearances and performance. Synergy Compete had a calming effect on my horse, allowing her more focus and stamina to compete in the arena. Everything the equine athlete needs in one package- that's AWESOME!